A 2014 survey by Nielsen Global showed that more than fifty per cent of consumers from 60 countries worldwide were happy to pay more for products from companies with a conscience. Being social responsible as a business isn’t just good for your moral compass, it’s great for drumming up and retaining custom too. We all know that packaging wastage is on the up as the general public increasingly opt for takeout convenience food for lunch over homemade sarnies in Tupperware. All that food needs to be contained somehow and it’s time to start thinking about how your eatery can get the edge on the competition – making sure your customers know you care about the environment is a great place to begin. The Nielsen survey turned out some encouraging figures around sales increases for companies who wore their heart on their sleeve and plumped for packaging printed with sustainability claims. Over a year, sales were up by two per cent for the businesses who made it common knowledge that they were making attempts to go green compared to just a one per cent rise for those who didn’t. Mind not sound much but every little helps when it comes to keeping your profits on the rise! We’re definitely advocates of everyone doing their bit for the environment and since our sustainably-sourced paper packaging can help your company profits too then it’s a win-win all round. 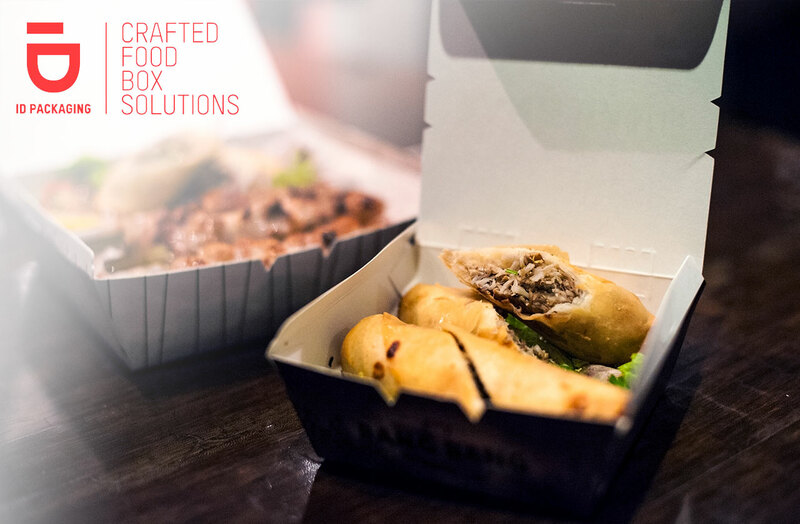 At ID we’re proud purveyors of eco-friendly trays and boxes and use only SFI-certified paper to make sure the planet is kept happy. Your custom design is printed with food-safe dyes too so Mother Earth doesn’t need to worry about chemical heavy landfill contributions. If you’re thinking about placing your next packaging order be sure to think about the benefits of being eco-friendly. Consumers are spoilt for choice with a different eating option on every corner and can sometimes need a little encouragement to choose your business over others. With a healthy proportion on the look-out for an eco-conscious option, now’s the time to re-vamp your packaging plan and make sure your target market knows exactly what you’re about.